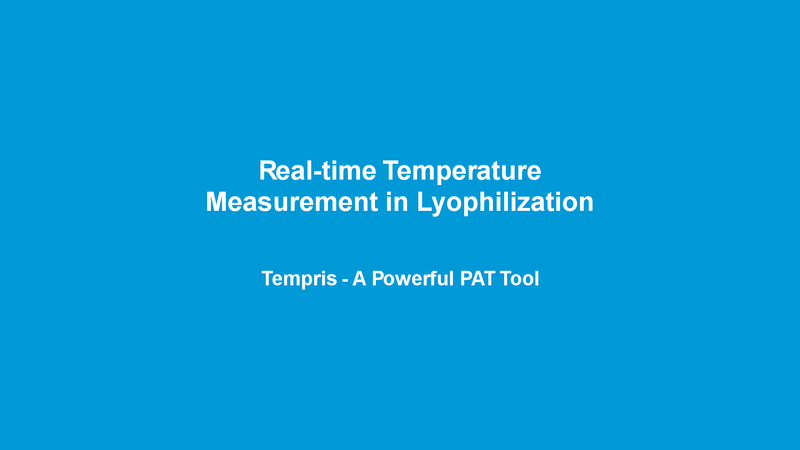 Temperature measurement in Lyophilization – The new freedom of process monitoring and control with Tempris. As it is known, biotechnology & pharmaceutical companies invest large capital for freeze drying high value products like recombinant proteins, monoclonal antibodies, vaccines etc. Our innovative wireless technology, makes your production process cost efficient and time saving with high product quality. Measuring and controlling your product temperature in real-time, without interruptions or manual handling, wireless and battery free – is simple with Tempris sensor technology. The temperature measuring system is applicable in Lyophilization, Sterilization and Granulation. Use our Tempris expertise for optimizing the processes to support regulatory submissions and for making pharmaceutical production more cost-efficient.